Events Archives - Goosebay Sawmill and Lumber, Inc.
Gary Wood will be here on Saturday, April 20, 2019 between 9am and 12 pm and will be demonstrating the finishes that Goosebay stocks. There will be a 10% discount on all finishes purchased on April 20. 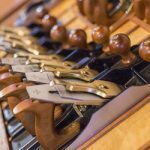 Lie-Nielsen Toolworks is bringing its popular Hand Tool Event to Goosebay Lumber on March 23-24, 2018. 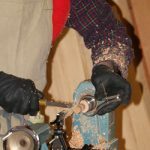 This event is part of the company’s ongoing international program to expose woodworkers of all ages and skill levels to the benefits of traditional hand tools and techniques. 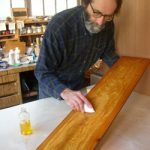 On May 13 & 14, there will be three finishing classes with Gary Wood at Goosebay Lumber in Chichester, NH.